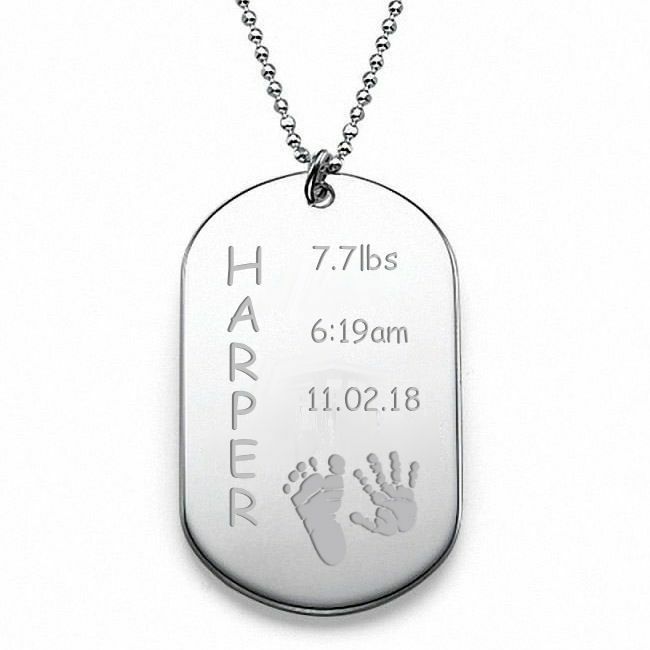 This tag features baby's name down the side and all the important details as well as a small hand and footprint. A beautiful gift for any parent of a new baby. On the back we can put your personal message.